As I announced a while back, Spring Break this year was expected to be my best one yet, and it didn’t disappoint. 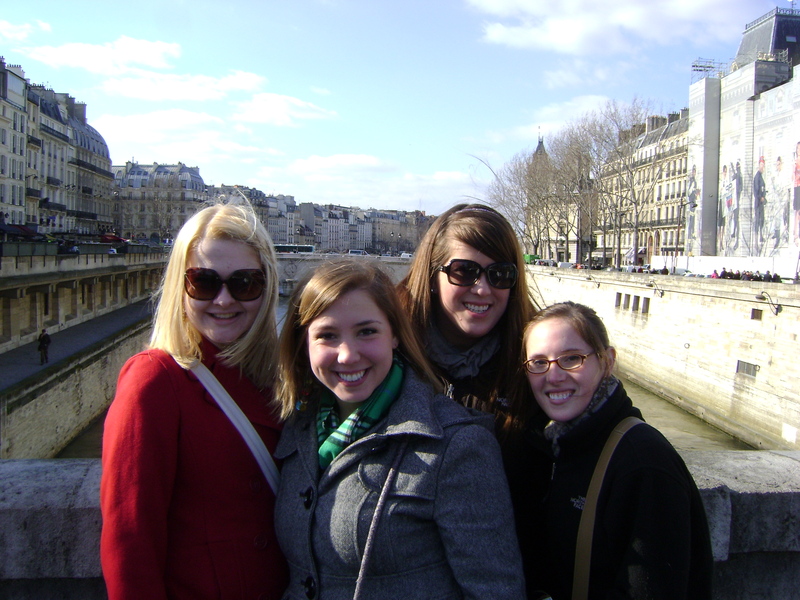 Instead of relaxing at home and catching up on sleep, I traveled with my Impressionism art history class to Paris, France for the week. There were 18 students, including myself, plus our two professors. Our mission was to view and study as much art as we could, while exploring the city and having an amazing time. After cramming in as much site-seeing as possible, I definitely think we succeeded. Although some strong winds and rain in Paris diverted our arrival to Amsterdam for a little while, we drove the final five hours on a bus, determined to arrive in the city on the day we had planned. Though it was 12 hours later than expected, we finally made it, and the first glimpse of Paris made me realize it had been worth the wait. Even at night, we could see the beauty of the architecture all around us and it felt like we were in a whole other world. After visiting the Louvre, Musee d’Orsay, Notre Dame, Arc de Triumph, Champs d’Elysee, basically about a million other places, and of course the Eiffel Tower, I felt like the city was too good to be true. Everything was gorgeous, the people were interesting, and the food was delicious. I was proud of the bravery my classmates and I had in trying many new things, like snails and pate made with duck liver. We honestly enjoyed everything we ordered and it made the trip even more memorable. 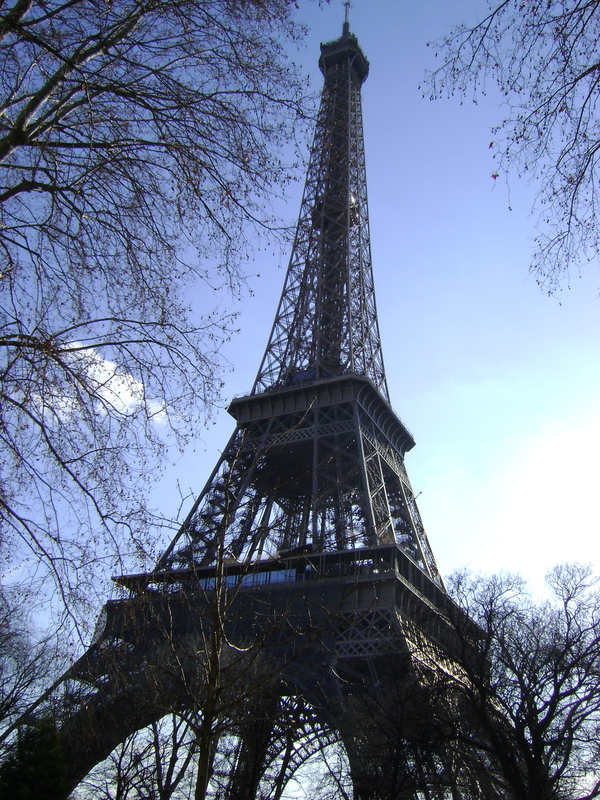 We all agreed it would be difficult to go back from French cuisine to Towers meals, and even considered sneaking some baguettes and croissants into our carry-ons. All too soon, though, we discovered it was time to pack up and return back to the Bluff. I had mixed feelings about going home; on one hand I missed my family and friends but on the other it felt like we were leaving so much excitement in Europe. After only 8 hours on a much easier flight, I arrived at the Pittsburgh International Airport feeling ready to get back to real life with my memories and photos that will last forever. 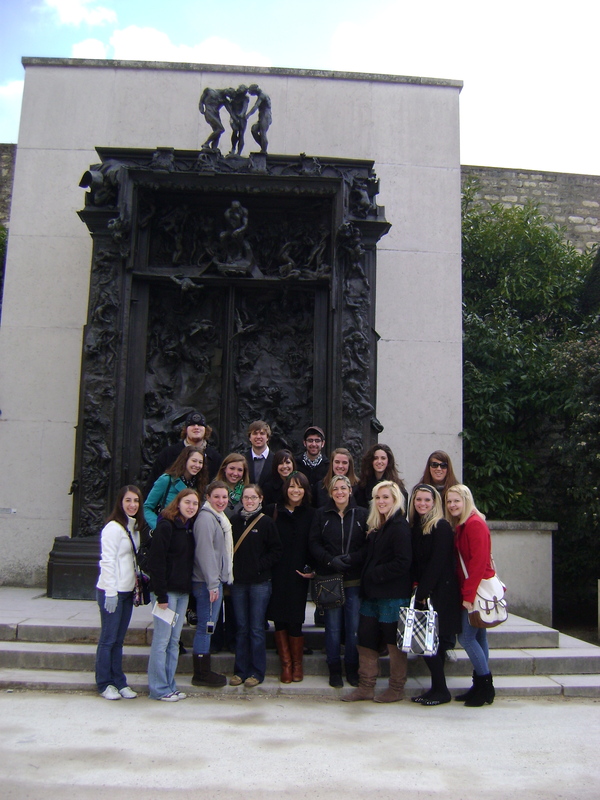 Everyone in front of Auguste Rodin's "The Gates of Hell"
After going through my first study abroad experience, I would recommend it to everyone. Travel as often as you can for as long as you can, because the memories and the experiences aren’t something you can just read about in books. I’m now hoping to participate in as many similar programs as possible during my time as Duquesne, and I hope to see some of you in next year’s pictures! Au revoir for now!